Canada has been at the forefront of shaping much of the rhetoric surrounding cannabis since 2001. While Canada’s medicinal cannabis framework has gone through many iterations, Canada has led the way in showing to the world how to think about cannabis. What began as a legal medicine more than 15 years is now being legalized for adult recreational use. Looking at the bigger picture, this move shows that Canada has been successful in normalizing cannabis as a medicine. Doctors have remained integral parts of a patient’s cannabis journey through what is known as the Access to Cannabis for Medical Purposes Regulation (ACMPR) act. These guidelines outline a list of qualifying conditions that patients must possess in order to legally obtain medical cannabis. It also places limits on a patient’s ability to grow the medicine and possess certain amounts of dried flower. Similar frameworks exist across the world, presenting the same set of challenges Canada has faced along the way. In a perfect world, these legal frameworks would see patients have honest and constructive conversations with their family doctor about cannabis and be able to access the medicine through a prescription. However, when many patients approach their doctors about cannabis the resulting conversations are likely awkward, as many doctors lack a full understanding about treating with cannabis medicine. Regardless of the legal status of cannabis in a specific region, doctors often have no idea where to begin when dosing and prescribing cannabis to patients. 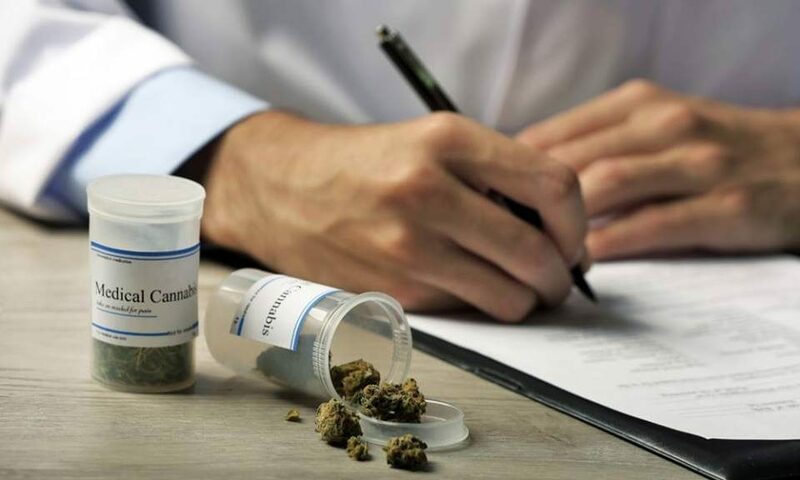 Many healthcare practitioners possess a knowledge gap about cannabis, as their medical school curriculum didn’t include any information on the topic. This knowledge gap isn’t surprising, as cannabis as a medicine is non-traditional in its very nature. But this gap restricts patient access to a medicine that can offer relief to a long list of conditions including chronic pain, seizures attributed to epilepsy, as well as mood disorders such as anxiety and depression. Healthcare professionals will always be the best people to consider what role cannabis will play in a patient’s health and wellness; doctors are in a dire need of education and guidance to help them offer this medicine to patients. When the number one resource to patients is hindered by a lack of knowledge, the system is bound to unravel. Patient access also hinges on a doctor’s preconceived notions of cannabis. The truth remains that many doctors across the globe are unwilling to prescribe cannabis, citing a lack of clinical research or quietly believing in a stigma attached to cannabis. Cannabis stands as the great unknown in the world of medicine. There simply isn’t enough research on cannabis to support its efficacy, especially in comparison to traditional medicine like opioids. For doctors to confidently prescribe or recommend cannabis to patients, education and research must become a major focus in the future. Over time extended clinical trials will continue to map out the plant’s therapeutic effects, supporting it as an alternative medicine offering relief for a long list of conditions. Dosing the medicine is also highly complicated, as what works for one patient might not work for another. Cannabis medicine presents itself as an intimidating option despite patients requesting it as a form of treatment. The future will see more simplicity when it comes to dosing the medicine, with tools emerging that aid doctors through this process at the point of care. Stigma has slowly shed and the opinions surrounding cannabis as a medicine have relaxed over many years. As doctors become more open to the idea of prescribing cannabis to their patients, it will take more education and direction for this medicine to be embraced in modern healthcare. What was once an illegal drug is slowly being heralded as an alternative to opioids, or a way to manage rare forms of childhood epilepsy. There is an overwhelming amount of new clinical data and research that explore the therapeutic effects of cannabis, along with insight into consumption methods, cannabinoids, and terpenes. It’s simply a matter of getting this information into the hands of both patients and doctors. Hundreds of strains, various consumption methods along with multiple conditions it treats, simplifying cannabis for all parties involved will be the vehicle that drives cannabis into modern healthcare. There is a dire need for tools to aid doctors in the process of providing cannabis to their patients. Clinical decision support tools like Sail offer education and direction at the point of care, taking the guesswork out of the process. With more education and resources, doctors will have the ability to offer extended wellness to their patients and prescribe this medicine with confidence. Interested in learning more about bridging the gap between patients, healthcare practitioners, and regulated suppliers? Join us this October in Sydney for an in-depth discussion with Pradyum Sekar, CEO of Sail Cannabis.